You might know about the miraculous physical benefits you can get from balancing your chakras, but did you know the mental benefits are even greater? Your chakras are powerful vortices of energy that can unlock different parts of your mind and help you become a more well-rounded and balanced person. The only problem is that the concepts of chakras and kundalini are highly misunderstood by most people. These concepts are extremely popular in the metaphysical movement, but everyone seems to have their own interpretation of what chakras are and what they're supposed to do. With such an avalanche of information, it can be hard to decode what chakras truly are and how to use their powers in the right way. 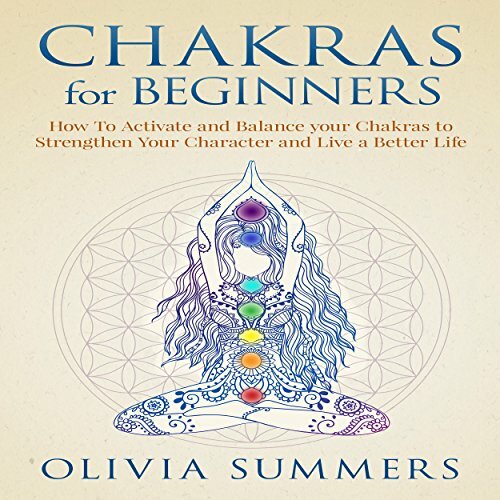 Learn step-by-step how to balance each chakra and improve your life! After listening to this book you'll see everything through the eyes of the chakra theory. You'll understand the reason behind everything you do, how you feel, and how others behave. Most importantly you'll be able to develop a strong, well-rounded character that can withstand any obstacle that comes your way. Yoga Hacks: 33 Essential Yoga Tips to Recharge, Refresh and Improve Your Yoga Practice - Today! A very enjoyable listen. If you have an interest in chakras and want a gentle introduction then you certainly won't be disappointed. The narration, for me, was very average. It seemed a little slow, almost childlike at times. However I wouldn't let this get in the way of what it a very good book. I really enjoyed listening to this book. It gives concise information on the subject, linking the chakras to particular personality traits and how to enhance and balance using different methods. I would definitely recommend.